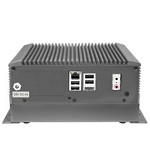 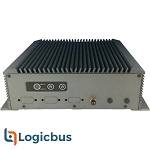 Rugged Fanless Box-PC, Form factor for Mini-ITX MB, IP50 rating. 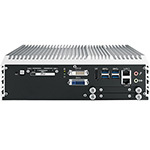 Intel H110 system chipset, i5-6400T-CPU 2.80 GHz, 16GB RAM, 256GB SSD. 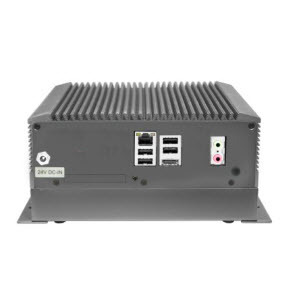 Rear I/O Port= 1*HDMI+1*DP+4*USB3.0+1*RJ45(GbE)+2*Audio Jacks (Line out & Mic in).